Androgyny doesn’t get a lot of style icons. That’s what I thought when I first saw the news that David Bowie had died. Bowie meant so much to so many, but for a number of people who have fought to subvert gender binaries and resist labels in a world that demands them, he made self-acceptance fashionable. When Bowie arrived on the music and theater scene in the 1960s, androgyny was just beginning to achieve recognition as a mode of fashion. 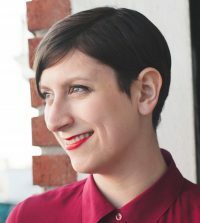 Unisex clothing came to popularity in the 1960s, reacting to and re-calibrating the strict gender roles that had defined fashion in the 1950s. Meanwhile, a young David Bowie was questioning the gender norms that had previously dominated style. In a 1964 television interview, he appeared as a spokesperson for the group “Society for the Prevention of Cruelty to Long-Haired Men,” defending his choice to style his hair long. As unisex style faded, androgynous style began to take its place, refining and elaborating on the concepts that unisex style had sought to introduce. Between Twiggy’s pixie cut and Yves St. Laurent’s 1960s menswear-inspired jackets for women, androgyny was becoming a fashion force in its own right. 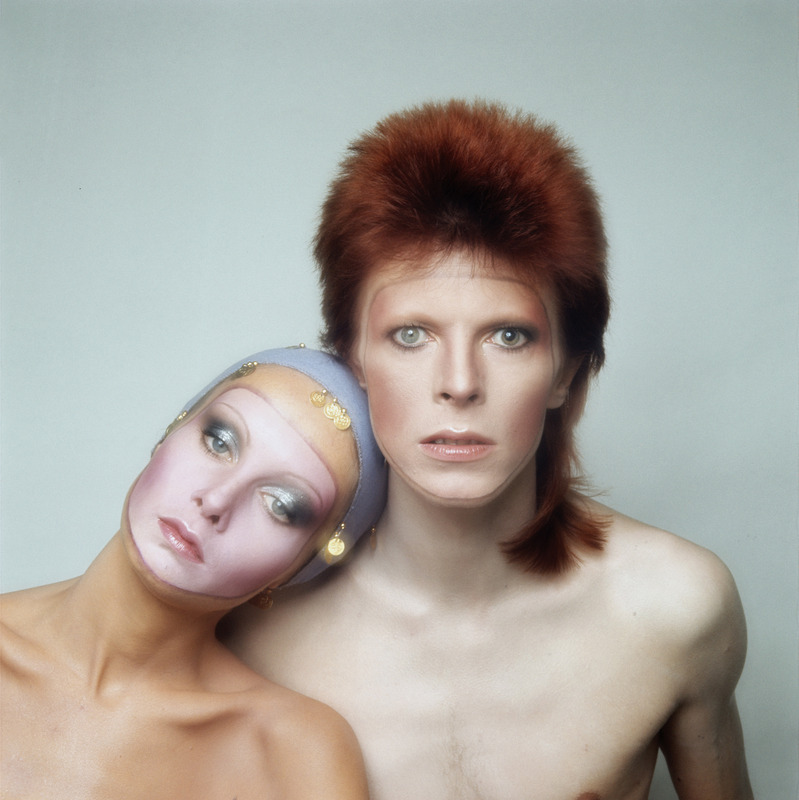 Early in his career, Bowie was experimenting with theatrical makeup, dramatic hair and groundbreaking styles. His earliest theatrical appearance was as a mime in “Pierrot in Turquoise” in 1967 at the Oxford New Theater. Bowie’s style was at once theatrical, androgynous and hyper-sexual, a revolutionary combination in a climate where gender was still understood as a strict binary. Bowie exuded sexuality, both when he subverted gender signifiers — as in the cover of “The Man Who Sold the World,” in which he donned long hair and a dress designed by British fashion designer Mr. 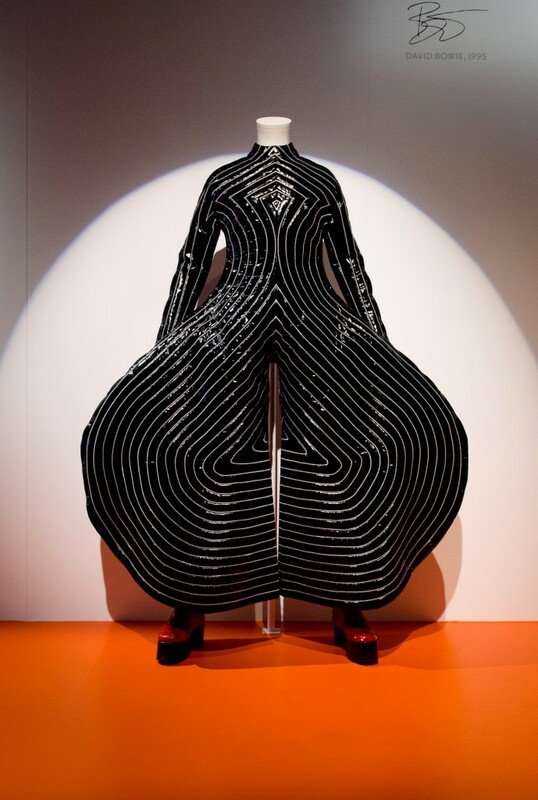 Fish — and when he eschewed them entirely in looks like “Tokyo Pop,” designed by Kansai Yamamoto for the Aladdin Sane tour (1973), in which he and fashion merged to become a genderless sculpture. 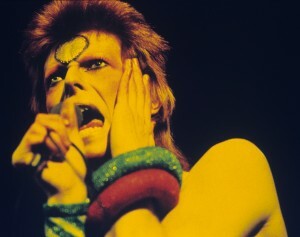 In 1972, Ziggy Stardust, Bowie’s alien androgynous alter ego, came onto the scene with a red bob, a tight striped body-suit and a constant swagger, becoming a queer icon. That same year, Bowie told journalist Michael Watts that he was gay, only five years after being gay had been decriminalized in Britain, and while articles with headlines like “Is Gay A ‘Security Risk’?” were appearing in The New York Times. His style did not find an immediate audience, entering pop culture at a time when androgyny was still transgressive to many people, which Carolyn G. Heilbrun pointed out in a 1973 article for The New York Times. “The idea of androgyny apparently takes a little getting used to. First responses tend either toward bewilderment or hostility,” she wrote. In 1973, the cover of “Aladdin Sane” showed Bowie’s iconic lightning-bolt face makeup just as androgynous fashion began to reach more people than ever, appearing in Diane Keaton’s style for “Annie Hall” (1977) and “Manhattan” (1979). Meanwhile, the rise of MTV meant that Bowie had a wider audience than ever, including for “Ashes to Ashes” (1980), the iconic video that saw Bowie dressed as Pierrot in a silver-blue costume that appeared to drip with fabric icicles. As he grew in popularity, Bowie’s looks began to influence the catwalk of high fashion. Alexander McQueen, another designer whose work blurred gender lines, designed Bowie’s 1996-97 tour. Jean-Paul Gaultier and Tommy Hilfiger would also take style cues from Bowie. In the past 10 years, designers from Miu Miu to Givenchy have released designs drawn directly from Bowie’s album covers and videos. His 1973 bodysuit was inspiration for Jean-Paul Gaultier’s Spring 2013 show.